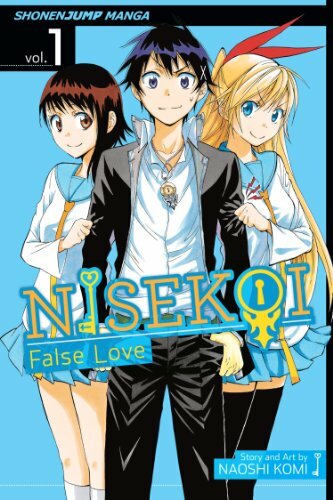 This week's Book Giveaway is the first volume of Naoshi Komi's series Nisekoi, originally serialized in Shonen Jump magazine. The back cover promises a "laugh-out-loud feel-good" time. (Here's hoping this series can deliver on all those hyphens.) A full review will follow shortly.